You are probably having trouble playing Kerbal Space Program with your gamepad or joystick. 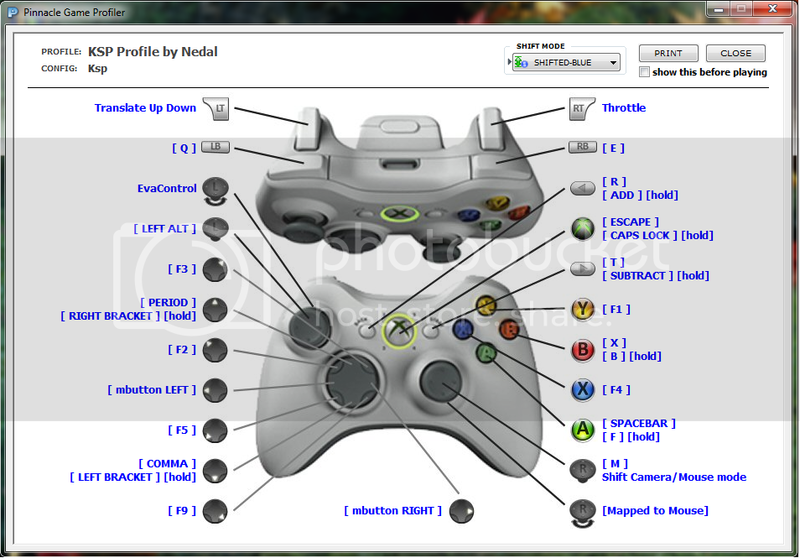 a pre-made profile for Kerbal Space Program controller support. Simple. I've spent quite a while mapping up a 360 controller for ksp.. And I'm pretty proud of the setup. I used Pinnacle Game Profiler to do it, as the standard ingame setup is meh. Heres an image of the main flight controls, Then ill explain a bit. The Left Stick is pitch and yaw, with roll on the bumpers. Have to setup pitch and yaw with the ingame controller support to take advantage of the sweet axis variable control. However i do have it mapped in PGP to trigger wasd when fully tilting the joy. This is what gives it EVA/Rover control. Guide Button - Escape(Pause)/ HOLD Guide button to toggle precise controls. Clicking the Left Joystick switches to ****pit view (IVA)/Holding click toggles camera modes. 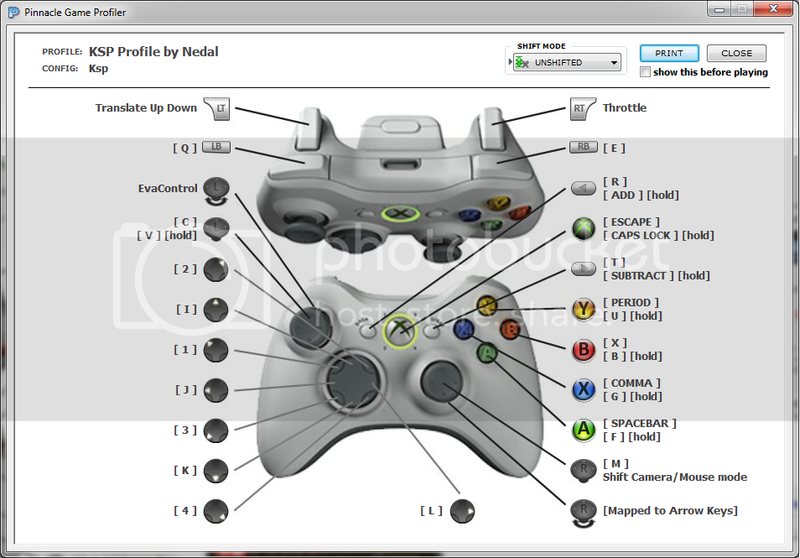 Once entering this mode, The Right Joystick now controls the mouse, Until Holding the right joystick click in again toggles you back to the previous controls. Left Joystick is the same, Except clicking it now presses ALT, Useful for fuel transfers and such. Both Triggers/Bumpers/Back/Guide/Start/B/and A, are mapped same as above. And there you have it. Pretty much all the controls you could ever need. All on one 360 controller. You can also use it for building vehicles, as everything needed is mapped (alt, shift mouse etc). But I probably wont.